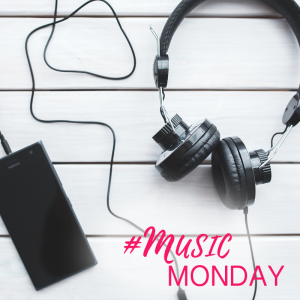 For this Music Monday, I recount the songs that went through my head when writing The Butterfly Bride. Frederica Burghley wakes up with her dear friend, Jasper Fitzwilliam, Lord Hartwell. I am thinking she said a little prayer that they weren’t discovered. Frederica and Jasper’s first kiss was bad, a pasty dry kiss. Frederica is drawn to Jasper, but they are just supposed to be friends. No sense in wanting a love that can’t be had. Jasper wants Frederica, but he’s stuck holding onto the promises of the past. He thinks he can’t love her as she needs. And Frederica wants and deserves everything. When Frederica and Jasper finally stop flirting and own up to their feelings for each other. Two friends became more than friends. Frederica and Jasper were finally were in sync. 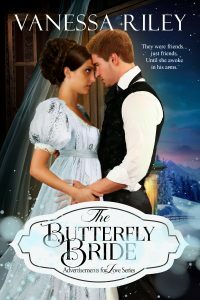 Don’t miss The Butterfly Bride by Vanessa Riley, out now. 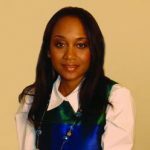 Award winning, Amazon Bestselling author, Vanessa Riley, worked as an engineer before allowing her passion for historical romance to shine. A Regency era (early 1800s) and Jane Austen enthusiast, she brings the flavor of diverse, eclectic peoples to her stories. The author of Madeline’s Protector, Swept Away, Unmasked Heart, The Bargain, and Unveiling Love, she has won the Beacon Award, the Colorado Award of Excellence, and placed in the International Digital Awards for her Regency romances. Vanessa Riley is a historical buff who has spent many years researching Regency society. During her undergraduate studies at Penn State, she gained a love of Western Civilization and took as many classes as she could while pursuing Bachelors and Master’s degrees in Mechanical Engineering. Her love of history has given her a passion for conducting precise research in architecture, customs, and rituals of the times. She lives in Atlanta with her career military husband and precocious child. You can catch her writing from the comfort of her southern porch with a cup of Earl Grey tea. His Fantasy Bride Blog Tour!